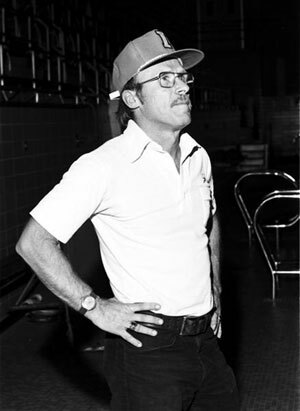 5-Time Olympic Coach and former IU Head Coach Hobie Billinglsey started the diving camp at Indiana University in 1968. At the time, the camp was the first of its kind. Instructional camps for young divers looking to learn the fundamentals did not exist as we know them today. However, many soon realized that there was a need as participation in the Indiana Diving Camp quickly became a desire for middle school and high school aged divers across the country. In 1980, Billingsley and the diving camp at IU were the subject of the award-winning documentary Hobie's Heroes. The documentary, produced by a former camper, does a masterful job of illustrating the struggles and lessons each camper endures while at camp. The documentary has aired on PBS, USA Network, Nickelodeon, and was nominated for an Academy Award in the field of documentaries. Billingsley ran the camp until he retired as head coach at Indiana in 1989. However, Billingsley still lectures, meets, and signs autographs for every camper that comes through the Indiana Diving Camp still today!! Come meet a living legend!! The second era of Indiana Diving (1989-2013) did not skip a beat as the Indiana Diving Team won 17 U.S. National Team Championships during this span. This included numerous National Individual Titles, Big Ten Titles, & NCAA Titles. Furthermore, more US Olympians were produced at IU including Sara Hildebrand (2000, 2004), Cassandra Cardinell (2004), & Christina Loukas (2008, 2012) (left to right). The camp at IU continued to thrive and established its place as the world's most popular diving camp. From 2008-2013 alone, we've welcomed campers & coaches from 44 different states and 20 different countries. 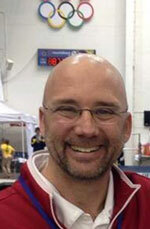 Beginning in July of 2013, the new era of Indiana Diving began as 2012 U.S. Olympic Head Coach, Drew Johansen, became only the third coach in IU Diving history. Johansen is an innovator in the sport and led the US Olympic Diving Team to their best performance since 1988, winning 4 medals including gold at the London 2012 Olympic Games. He looks forward to continuing the tradition of diving excellence at Indiana University and making a difference in the lives of campers at the Indiana Diving Camp for years to come. Printable documents are available below. All forms must be completed before a camper may participate. Please submit all forms as soon as possible.